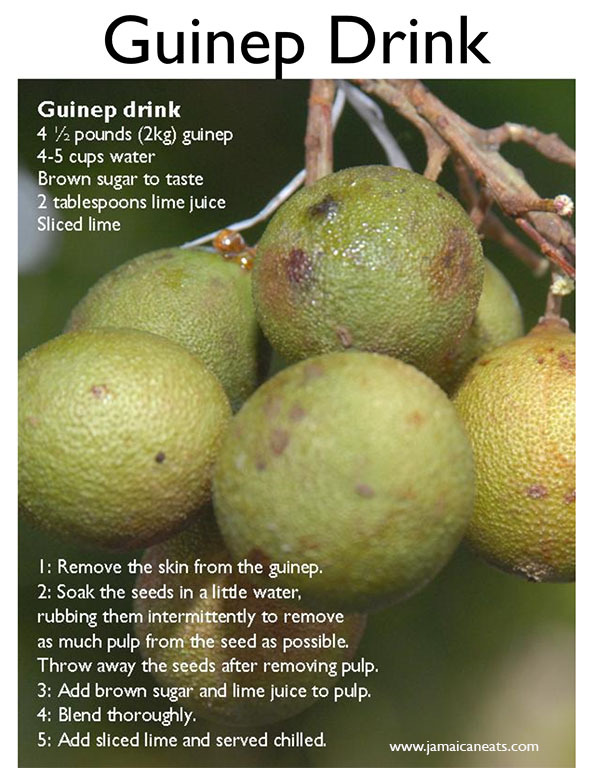 Remove the skin from the guineps. Soak the seeds in the water, rubbing them intermittently to remove as much from the sees as possible. Throw away the seed after removing the pulp. Add brown sugar and lime juice to the pulp. Add sliced lime and serve chilled.